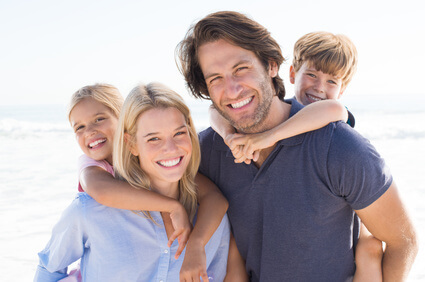 Freedom Health Insurance is one of the approved EEA-service provider based in England / UK. Freedom Health is thus a cheap option to secure disease risks for people without a health insurance. The rates were developed for customers worldwide and they offer extensive health insurance protection. However the rates couldn't completely fulfill the aspects of the compulsory insurance which are given above. Thus the offered rates aren't able to replace a german private or a statutory health insurance. The Freedom Health offers cheap rates with good services - with the FinanzSchneiderei insurance broker as a german consultant you find a existentially medical expenses protection, which chould be put together according to your needs. 375 EUR dentist costs p.a. 750 EUR dentist costs p.a. 2.250 EUR dentist costs p.a. *Example: 145,05€ monthly contribution for a 30-year old / deductible 500 EUR p. a. - The plan of Freedom offers a comprehensive cover of the costs in a case of issue -state 12/ 2017. Owing to prevailling regulations in Germany can't or just partly fulfill the criteria of the insurance obligations acc. § 193 VVG. Among others the contributions without a age provision are calculated and not suitable for the substituation of the health insurance protection as well as the care insurance protection of the social security system. Your special wishes and needs can be defined individually and integrated into an individual contract. The high quality product family for European health insurance correspond the high claims and standards in Germany und throughout Europe. Freedom Health Insurance offers comprehensive medical an additional assistance services through a worldwide network of medical service providers as well as fast help anywhere in the world. The tariff GOLD of Freedom Health Insurance is aimed at customers, who search cheap insurance covers especially for bigger cost risks. For inpatient and outpatient treatment, the tariff GOLD suit you if you focus on securing the medically necessary medical treatment and other services such as home care treatment and domestic supply aren't really important for you in selecting insurance coverage. The health insurance plan DIAMOND of Freedom Health was developed for customers who search a comprehensive insurance cover and value on organizational support with medical care. People without a health insurance who are used to ensuring that their chosen products live up to their high standards, the tariff DIAMOND is the best and right choice. Detailed information about the Freedom Health tariff DIAMOND in terms of the scope of services are available for you in the product overview. The Freedom Health Insurance has, like the most EEA-service provider, much more clients than the most of German private health insurance companies. Many millions of insured people trust the company worldwide. Welche rechtliche Voraussetzungen kann Freedom Health in Deutschland erfüllen? The European health insurance of Freedom Health Insurance offers a high quality security in case of illness and this for cheap premiums. Our clear online comparison helps you to find the best offer from all of the tariffs and to compare this with other EEA-service provider. With our insurance comparison for the European health insurance we are nationwide experts and we also accompany you in case of damage. Compare different tariffs from foreign EEA-service provider with our online calculator and this only in a few clicks. My bills from Freedom were taken over quickly and easily by the FinanzSchneiderei. For questions I turned to the employees of FinanzSchneiderei, who translate all of my documents in English. I would definitely recommend the Freedom Health Insurance - The transacion takes place quickly and uncomplicated every time. EEA-service provider are European health insurance companies, who are because of an EU-guideline entitled to pass on their insurances to all people in the European Union. All tariffs of the EEA-service provider perform according to the respective tariff regulations advances of a German statutory or private health insurance / comprehensive health insurance throughout the European Economic Area (EEA). However the teriffs aren't suitable to replace the security of the health insurance protection and care insurance protection in the statutory social insurance system (no substitutive health insurance). The statutory requests in Germany to fulfill the health insurance obligation (according to §193 VVG) can't be fulfilled or can only be partly fulfilled. GET YOUR QUOTE TODAY - Freedom Health Insurance Plans! Get your personal quote and get informed about important news from the Freedom Health Insurance.